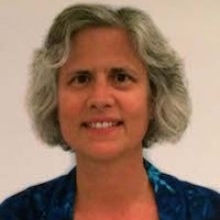 Dr. Laura Gibbons is a biostatistician specializing in measurement issues in cognitive aging and has over 25 years of experience working with complex data sets. She has been on the program committee and teaching faculty for the annual Advanced Psychometric Methods in Cognitive Aging Research Conference from 2005 to the present, and consults with researchers around the world on how to improve the measurement of cognition. As a core biostatistician for the UW ADRC, Gibbons works on a variety of issues related to study design and analyses.